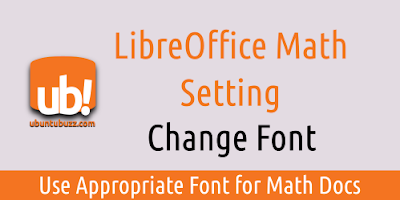 If you dislike the default font in LibreOffice Math in your GNU/Linux system (Liberation Serif), you can change it so the whole formulas changed. In this short article, I will use MathJax Math font, the built-in font in Linux Mint 18.1. 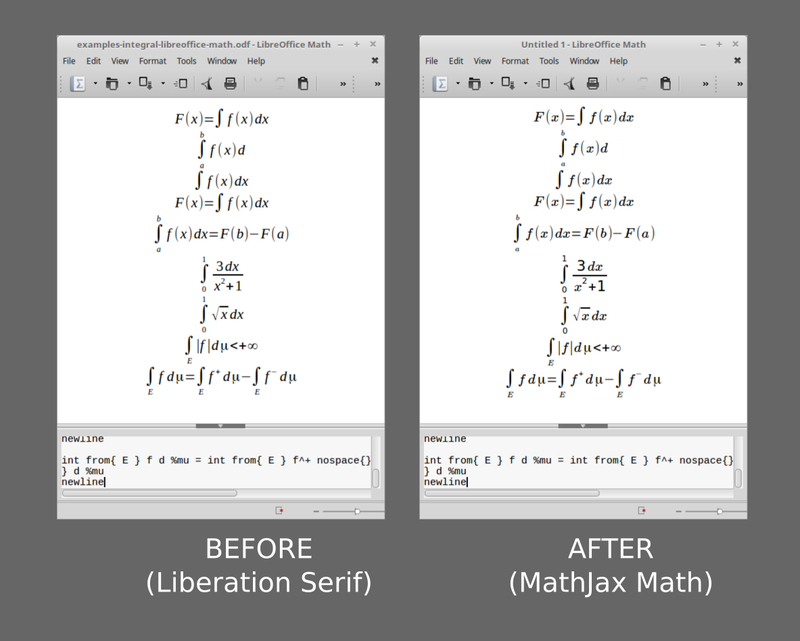 You can compare here how it looks in default font and in MathJax Math font. Notice the 'a', 'b', 'f', 'd', and 'x' letters between them. Visit menu Format > Fonts. 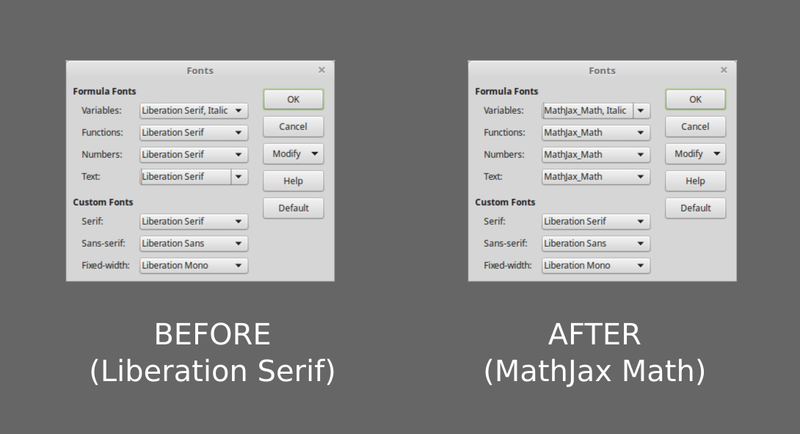 Change the 4 options Variables, Functions, Numbers, and Text into MathJax font. Press OK to proceed. Now you should see the whole text in Math document changed following your selected font. To revert settings, just visit menu Format > Fonts > click Variables option > change it to Liberation Serif > change Functions, Numbers, and Text options into Liberation Serif too > press OK.